Synopsis: Deep in the Louisiana swamp lives a legend. In the fall of 2013, the legend comes to life. Many have seen, some have heard, and none have forgotten: the giant hairy creature with glowing red eyes that locals refer to as the Caddo Lake Creature. When the long dormant monster executes a brutal reign of terror, glamorous talk show host Anna must leave her highly coveted position to search for her missing sister in the swampy wilderness of northern Louisiana. 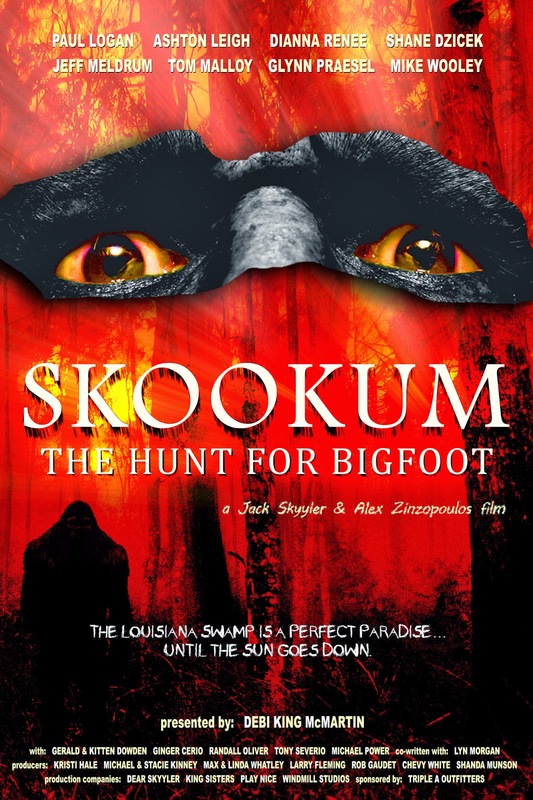 She reluctantly enlists the aid of her former boyfriend and his father - two of the world’s most respected Bigfoot research scientists - a Native American shaman, and Cajun swamp guide Gator. Separated from the others during the exhaustive search, Anna ends up alone in the swamp, with only the fading light of her cell phone to guide the way. Ultimately, she must confront her own worst nightmare to find her sister, provide the key to ending the massive carnage and face down the most dangerous creature known to man.